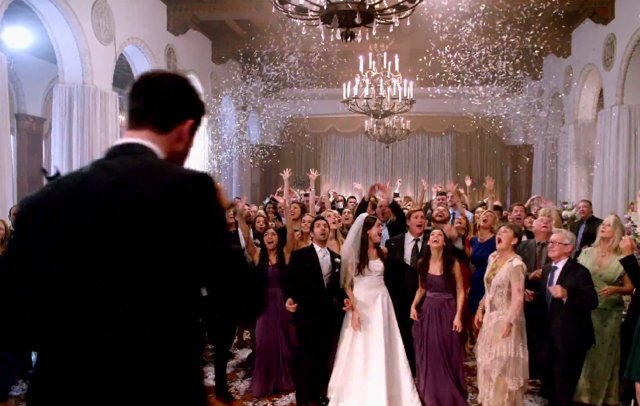 Just imagine if it was your wedding day and when you are finished with the meal and speeches, the band reveals themselves but instead of the cheesy wedding band you thought you had booked, Maroon 5 are stood there. That is exactly what happened during the making of the new Maroon 5 track “Sugar“. The band decided it would be a cool idea to appear as a surprise at a number of different weddings by appearing from behind a sheet when people are ready to dance. The video was directed by David Dobkin, the same man who helmed the 2005 hit comedy, Wedding Crashers.